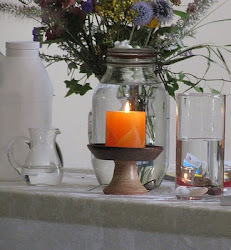 Today, I am starting a new category on this blog which I am tagging "Spiritual practices". 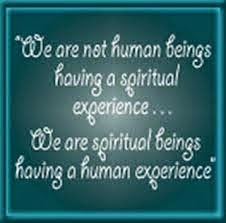 Spiritual practices are so varied and mean different things to different people. We are often taught spiritual practices as children growing up such as praying, going to church, fasting, seeking forgiveness, etc. Sometimes these practices have been ritualized and are part of the religious training of a tradition and other times they are much more personal. The proof of the pudding is in the eating. The value of the spiritual practice is in the exercise. Sometimes the practice may take a while to demonstrate benefit. Here's a practice that I picked up this morning from Tal Ben-Shahar in his book Even Happier. He writes that he learned from this practice from Oprah. This practice is research based. Ben-Shahar writes that psychologists Robert Emmons and Michael McCullough did a series of experiments and found out that for most people this exercise works, that is, it improved their lives and they felt better. The exercise is simple. It takes two minutes but may transform you life in as little as a week. Don't believe it? Try it and let me know in a week how it is working for you. Here it is. Every night before you go to bed write down a list of 5 things major and minor that you are grateful for. That's it. Here's mine from yesterday. 1. I am grateful for the good work at Hollink motor sports in inspecting and fixing my motorcyle. 2. I am grateful for my son, Joe, who gave me a ride 8 miles over and back. 3. I am grateful for the $170,000.00 grant we got at work and the good work done by Shannon Ford, Maryann Bowman, and Megan Guinee in preparing this grant. 4. I am grateful for the good management skills of John Bennett GCASA's Director of Treatment. 5. I am grateful for the exceptionally nice spring we are having so far although I worry about global warming because temperature records have been set for heat. 6. I am grateful for my friend, Al, who wanted to give me a ride to Hollink but couldn't but would have if he could. 7. I am grateful for Anna Quindlan's new novel which I just finished, Every Last One. 8. I am grateful for the day which God has given me at age 64 when I am healthy and able to work and live and enjoy the world. 9. I am grateful that health care reform got passed even in its watered down version. What are the spiritual practices which you have found beneficial, meaningful, transforming, satisfying, fulfilling, helpful? Leave a comment. I am very interested. For the last few years, I have been practicing somatic awareness--growing my sensitivity to the sensations in my body as a way to become more present, grounded, and connected to the life force energy. I've used a mindfulness bell to remind me to check in, as well as practiced certain postures and done specific exercises to increase my sensitivity. For me, it's a form of body prayer, mindful movement. I feel more here, more embodied. I feel a deeper sense of intimacy and owning of myself that I bring to all my interactions with myself and the world.